If you’re like most small-business owners, you’re always thinking about ways to grow your business. In fact, coming up with growth strategies probably consumes your thoughts. Some business owners don’t want to invest large sums to cover the costs of opening other locations. Others are eager to expand but don’t want to hire more employees or are concerned that the employees they hire will start their own business and become competitors. 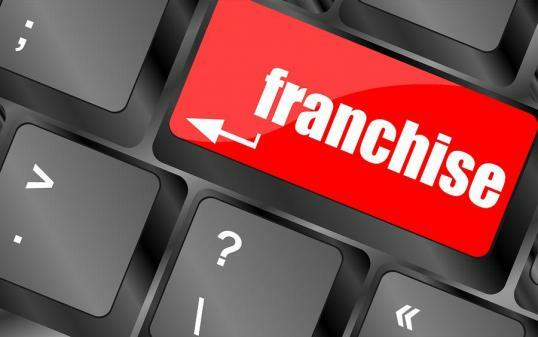 If these problems sound familiar, franchising may be your best bet for business growth. From my 26 years of franchise industry experience, I have identified three questions you should ask yourself to determine if franchising is right for you. 1. Can you teach and implement processes quickly? When you choose to franchise, your processes and best practices need to be passed on to others in a format that’s easy to understand and follow. Ideally, these processes will be compiled into an operations manual. 2. Is your business duplicable? Scalability: Is there room to grow? Scalability addresses both the ability for your business to handle sizable growth and the ability to pursue different options on how your business can be operated. For example, can your business start out small and then expand later? Can your business support multiple models; i.e., storefront, kiosk or mobile? Can someone run your business from home and then expand into an office space? Sustainability: Is there consistent demand for your product or service? Identifying your markets is important in assessing your business’ sustainability. Typically, who are your clients or customers? Is there demand for your product or services in other areas beyond where you are currently doing business? The more people and areas that your business can appeal to, the easier it is to duplicate your business into those markets. And, more importantly, is it more than just a fad? Training and Mentoring: Can you trust others with your business? Ask yourself if your focus can shift to training, mentoring and providing support to other people who are running your business in different locations. Are you comfortable conducting training, or is there someone on your team who can do it? At some point, you may need to pull yourself out of everyday operations. Do you have someone in mind to handle operations? In the beginning, your involvement and mentorship will be invaluable to ensure that the growth of your franchise system is consistent and your quality standards are maintained. 3. Do you have the “IT” factor? Imagine a business that offers its clients or customers an experience, not just a transaction. Or a company that people will go out of their way to patronize, even just for a simple errand. Maybe it’s a local company that’s only been around for a couple years, but there’s something about it that makes people think it’s a national brand. Or perhaps this company has services and products that are a notch above the rest. While it’s hard to explain the “IT Factor,” people know it when they see it. How do customers feel about your business? Does it have the IT Factor, or can you ignite it? The best way to assess whether franchising is right for your business is to take a look at processes, duplicability and the IT Factor. Do you have what it takes to teach and mentor others on your business? If your answer is yes, you may find that you’re closer than you think to franchising your business.